Just in time for holiday gift ideas, san francisco-based artist paul ferney has an awesome project going on. the commission project — you send paul a photo of your most beloved and he’ll paint you your masterpiece! what a unique gift, don’t you think? paul painted this adorable portrait of lucy, and i really love these shoes, too! 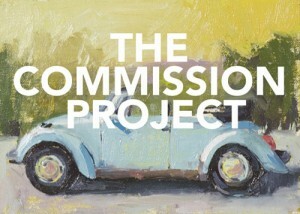 for more details, visit the commission project. there’s only 100 commissions available until november 14th, or until they’re sold out, so hurry (i heard they’re going quickly! ).